Michael Persico is CEO and Founder of Anova Technologies, which specializes in ultra-low latency networks. His current company holds a multitude of patents on transmission technology, including one for decreasing the queuing latency of a wireless path. This has been key in optimizing laser and RF technology for use in trading. He is a frequently quoted source for information on the use of wireless in finance and has appeared on Bloomberg TV, CNBC, CNN and BBC. Prior to Anova, Mike was a part owner and partner in Ambiron, LLC, and a security technology firm that focused on risk management and compliance for the financial and credit card industries. 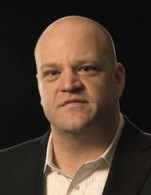 Mike was an early believer in electronic trading and founded Tekom, Inc. in 1997 to provide connectivity and other managed services for the trading industry. Tekom developed many of the technology standards used for screen-based trading today. Mike also sits on the advisory board of Options City, LLC.